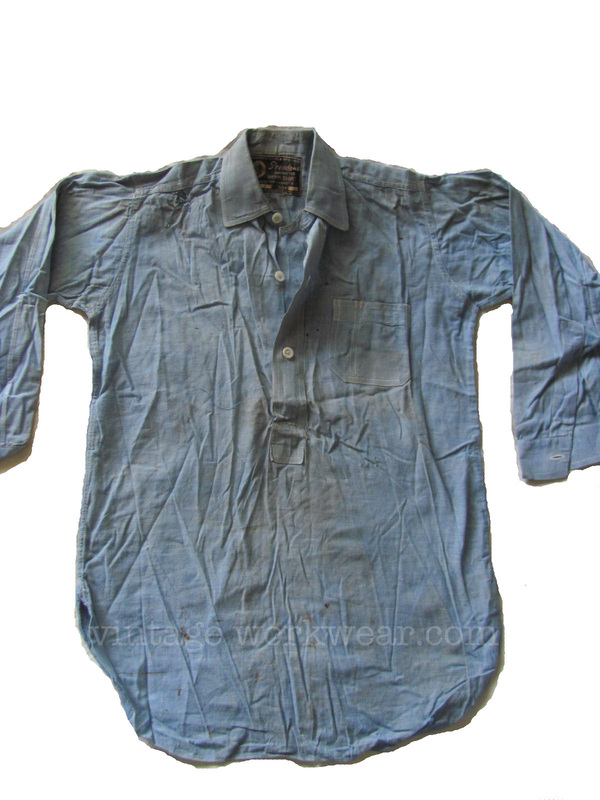 While we do not normally feature items currently up for auction, for this beautiful vintage chambray work shirt an exception is in order. The nice seller of this garment contacted us with questions about this rare find and we were happy to shed some light on this century old shirt and help promote this current auction. 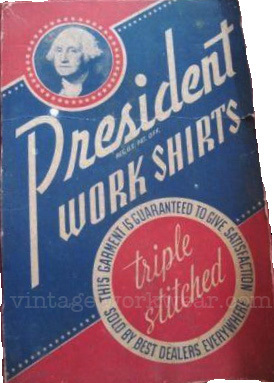 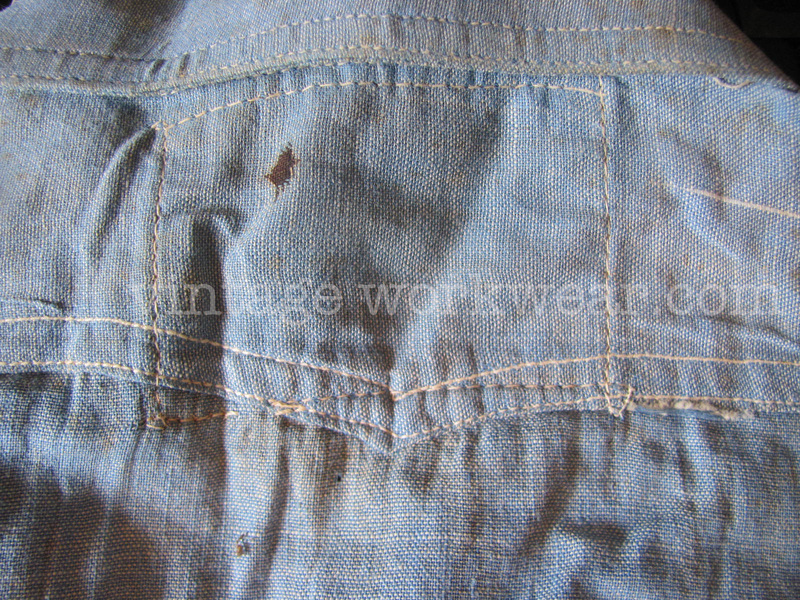 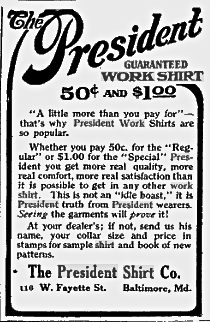 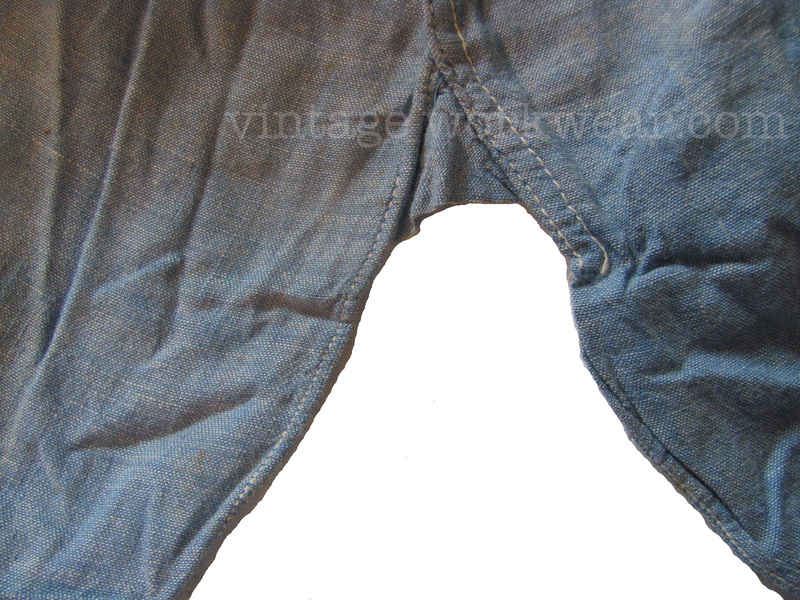 This PRESIDENT GUARANTEED WORK SHIRT was manufactured by The President Shirt Co. in Baltimore, Md sometime around 1911 and while one hundred plus years of age has indeed taken its toll, aside from a few holes, storage soil and stains this shirt looks to be in barely worn if not unworn condition. 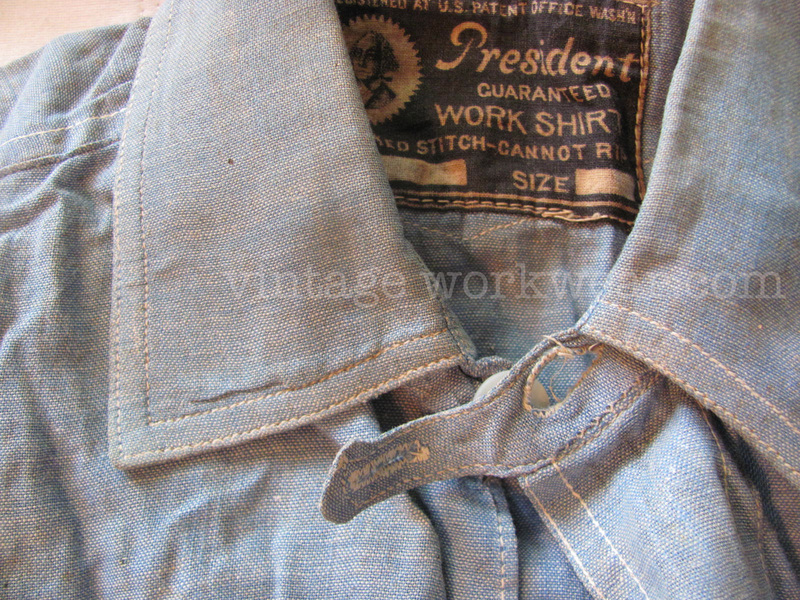 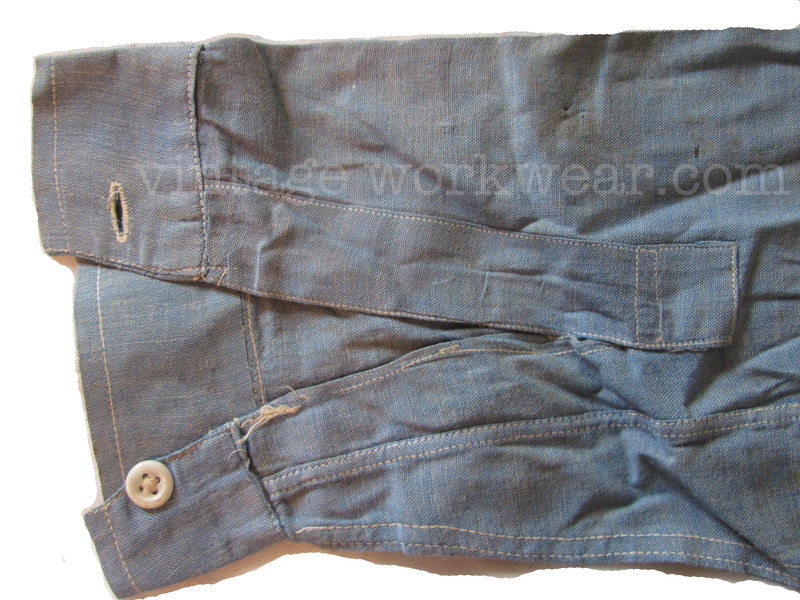 Primitively constructed of coarse weave blue chambray fabric with some very crude single and double stitching in contrasting natural thread, this vintage work shirt includes many nice details. These details include pull-over type body with two button front placket, two button chin strap collar tab, single front pocket with pen/tool slot, lower side hem rip stop gussets, back shoulder yoke with arcuate type stitching detail and a great printed neck label seen in the photo above.